GBUM condemns state terrorism against the peaceful protestors of Chilas City, Diamer. On February 18, 2010, security forces shot at and killed three and injured seven innocent people of Gilgit-Baltistan who were demanding royalty and resource-loss compensation as a result of Pakistan’s decision to construct a dam in their district. GBUM salutes those who received martyrdom while fighting for their just rights and guarantees that their sacrifices will not go waste. Pakistan cannot force the people of Gilgit-Baltistan to agree on the construction of the dam. Diamer dam is a disputed issue built on disputed land. Construction of the dam is a conspiracy and seen by locals as state-led ethnic extermination. In the guise of infrastructure development, Pakistan is destroying local cultural heritage, national identity, civilization, control over precious antiques, and elimination of local dwellings. The people of Gilgit-Baltistan extend their support to the residents of Diamer to fight and fail Pakistan in her endeavours to destroy land, resources and identity of the region. Diamer dam is not an issue that pertains to geographical, economic and social security of the entire Gilgit-Baltistan. Through this press release, GBUM intends to give a wake up call to the natives of Gilgit-Baltistan to unite with the people of Diamer. The Dam is being constructed in violation of international political and water-rights laws. The Dam is being built in Gilgit-Baltistan, which is not a part of Pakistan but the dam royalty will go to Pakistan’s North West Frontier Province. The inundation of several villages and valleys of Gilgit-Baltistan and farmland and pastures will thus benefit the people of Pakistan. The cities of Pakistan will be electrified and illuminated from Diamer while destroying the livelihood and resource base of local people. The dam is primarily built as water storage body to provide irrigation to the deserts of Punjab in Pakistan; and the cost of destruction to farmland and pasture will be borne by the locals. In the name of providing jobs to skilled people, thousands of Pakistanis will be settled in Diamer who will compete with locals for social services, and also cause demographic change in Pakistan’s favour. GBUM urges the United Nations and human rights organizations to take strict action against those who killed and injured local protestors. 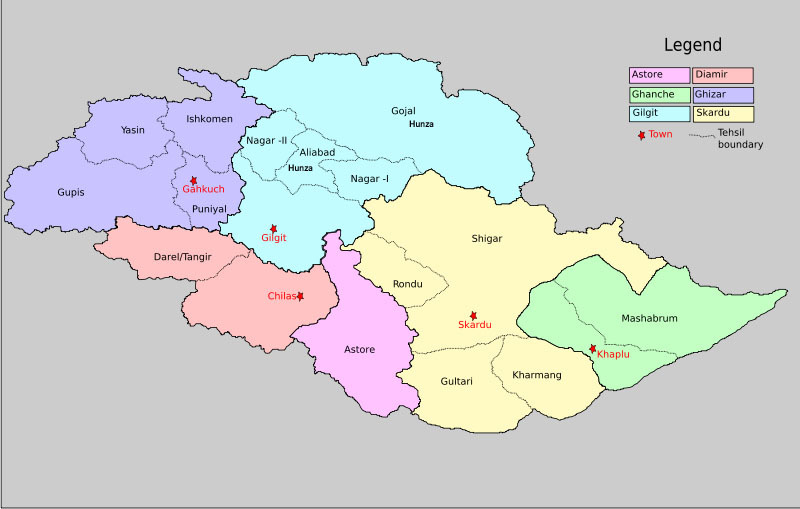 Gilgit-Baltistan is part of the State of Jammu and Kashmir and currently under illegal occupation of Pakistan. In 1948, Pakistan was directed by the United Nations to withdraw from Gilgit-Baltistan within 90 days. Pakistani continued presence in the region is a clear violation of the UN resolutions on Kashmir. Did US Coddle an Anti-Iran Terrorist? Costs of War: Safety in Aggression?